Typically, when someone mentions the hottest locations in the United States for technology and innovation, the West Coast comes to mind. The Bay Area, Seattle, and even New York —an East Coast outlier— have long been the established locations for technology companies large and small. However, this trend is changing. According to a 2017 Forbes article, Atlanta was listed in the top three of their list of five U.S. cities poised to become tomorrow’s tech meccas. The article cited that Atlanta’s total tech jobs have grown by 46.7 percent since 2010. The report also made mention of Atlanta universities like Emory University and Georgia Tech churning out tech talent, and the rise of tech hubs like the Atlanta Tech Village and the Advanced Technology Development Center. If you are looking to start a technology-based small business, establishing yourself in Atlanta makes sense. However, before you do, it is wise to see which technology industries are on the rise here. Read on for a list of four popular technology fields in Atlanta. 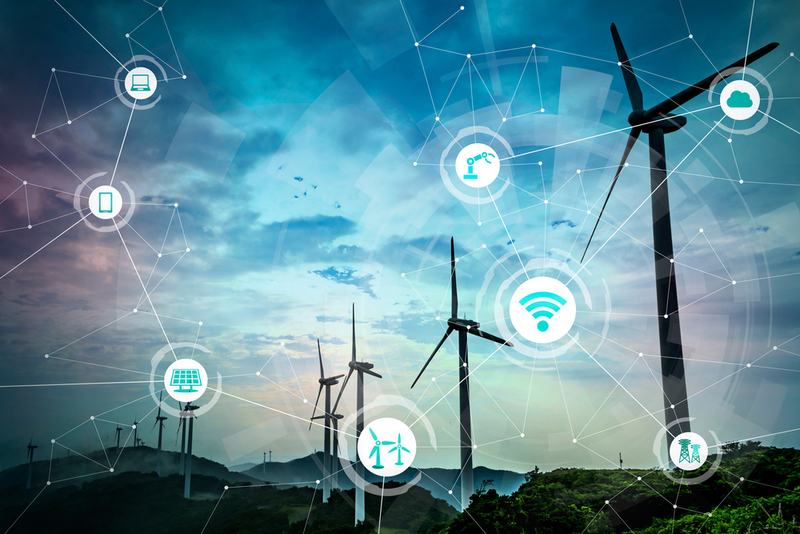 According to the Technology Association of Georgia (TAG) the current smart energy industry has a talent force of 5,000 strong, and an economic impact of more than $2 billion. The state is leading the way when it comes to being the home of companies that are promoting innovative approaches to establish intelligent and renewable energy sources. The Solar Energy Industry Association ranked Georgia as the 10th top solar producer nationwide. A solar module manufacturing facility has already been established in Dalton, Georgia. Also, Facebook and Walton Electric are teaming up to power a 150-megawatt data center in the city of Newton with solar energy. There are plans to create a solar power highway, and Georgia Power has put out a request for proposal for PV-related projects. So, if you have an idea involving solar power or renewable energy, Georgia may be the place where you want to establish roots. Last year, the financial technology energy generated $72 billion in revenue in Georgia. This revenue generation from financial technology puts the state only behind New York and California as the most popular location for the financial technology industry. The fintech industry includes product and service companies that support the payment processing infrastructure of the country’s economy. David Stephenson, managing director at Regions Securities, a financial services group, sees Atlanta as a rising fintech hub that possesses many components that its competition is missing: “talent, location, transportation hub and citywide technological support.” There also seems to be a diversity of companies involved in the fintech sector, so the field is wide enough for large established companies and small entrepreneurial startups. With the rise of connectivity, and more advanced technology solutions in Georgia, cybersecurity is bound to be an emerging tech industry. From health records to ballots, Georgia has had its share of security breach issues, and the time is right for entrepreneurial startups to begin to address this situation. According to a recent report by TAG, a cybersecurity professional is the fourth most challenging job to fill in 2018. Georgia Tech has recently instituted an online cybersecurity master’s degree to help curb this problem and encourage more STEM professionals to go into this line of work. Meanwhile, the recent issue with the security of voting records, and a breach of email accounts at August University that potentially revealed the information of 417,000 shows the information security field is still an emerging technology industry that could use some help from small businesses. According to TAG, Atlanta is referred to as “America’s Most Wired City.” Virtually, every major fiber provider has a core point of interconnection with the city. Therefore, Atlanta is set to continue to be a significant player in the communications services field. Georgia is considered to be one of the fasting growing markets for communications services and ranks fifth in the nation for the field. More specifically, Atlanta’s telecommunications market also ranks fifth in the nation for total bandwidth and fiber access. What many Atlantans probably don’t know, is that two of the country’s largest fiber routes cross paths in Metro Atlanta. The landscape for small businesses owners who want to participate in the communication services industry is healthy. Atlanta is shaping up to become the leader of technology within the Southeast and is rising to become a major player nationally. No longer do small business owners have to sacrifice a high cost of living for a thriving technology ecosystem. The above list is not exhaustive of all the technology industries that are making a splash in the city, so there are many options for being successful in technology. So, make a point to blend your entrepreneurial interest with research to see what works for you and your business ventures.